If you're looking to get on the 4K wagon relatively early but can't afford to splash out the big(ger) bucks, you can now grab Sony's Bravia X9 for a reasonable (in 4K terms) £4000. 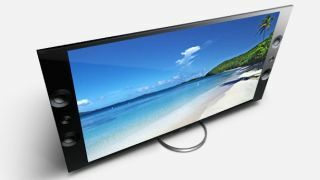 That's for the 55-inch model anyway, available over at Currys and PC World, while the 65-inch version comes in at £5,999 - still not bad by comparison. For those prices you'll also be getting passive 3D (with four pair of specs in the box), which pairs perfectly with the HD resolution. Both TVs also come with Sony's magnetic fluid speakers to match on sound quality. If you think those prices are still high, Cnet points out that the next cheapest 4K TV you can get your hands on is LG's 84-incher, which is priced at a not-so-cool £17,000. You can go pick up one of Sony's sparkling UHD TVs right now, but be expected to wait for a decent amount of content to feast your eyes on. While we're excited for the 4K future, it's still early days for the format yet.